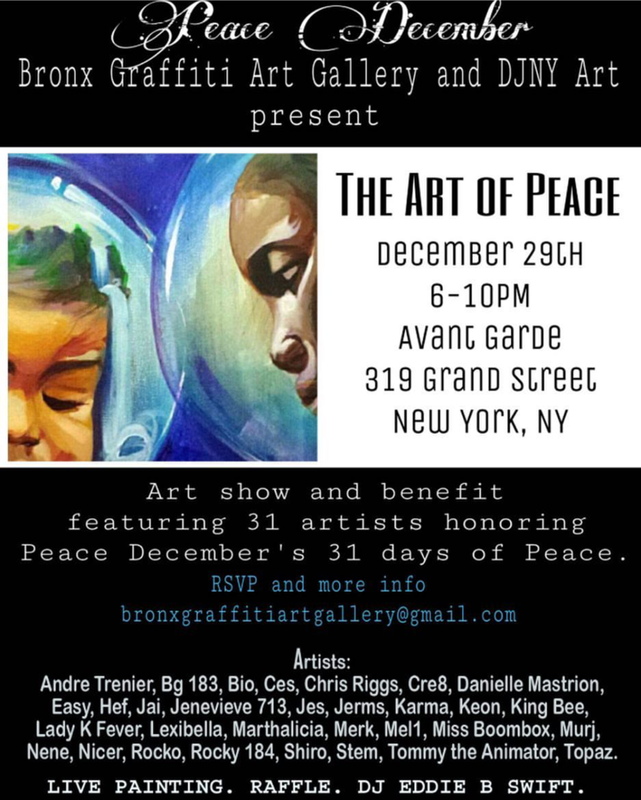 And if you can’t make it tonight or would like to return, the exhibit continues through New Years Day. 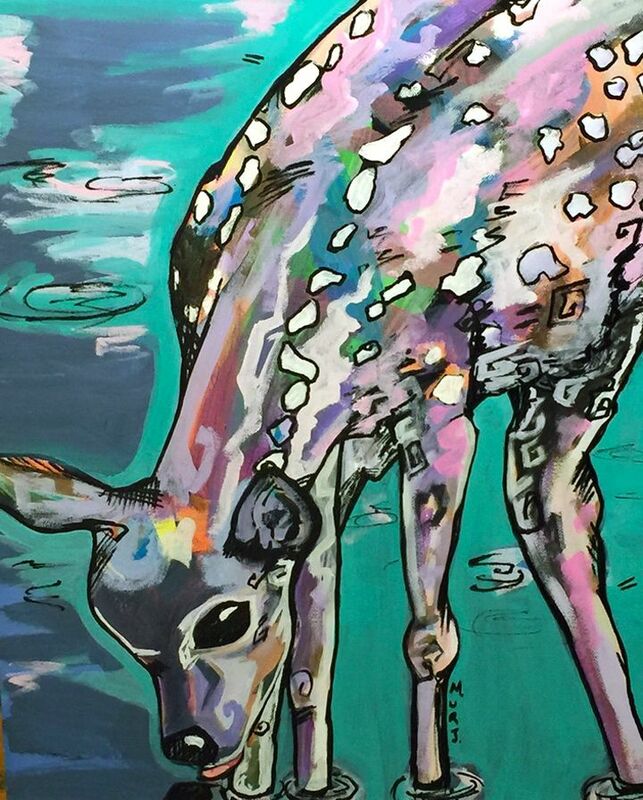 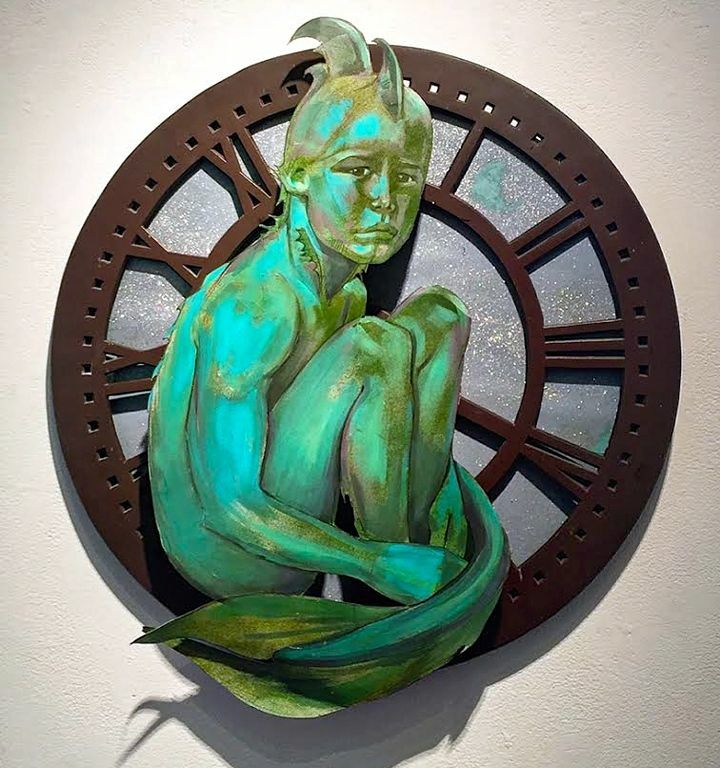 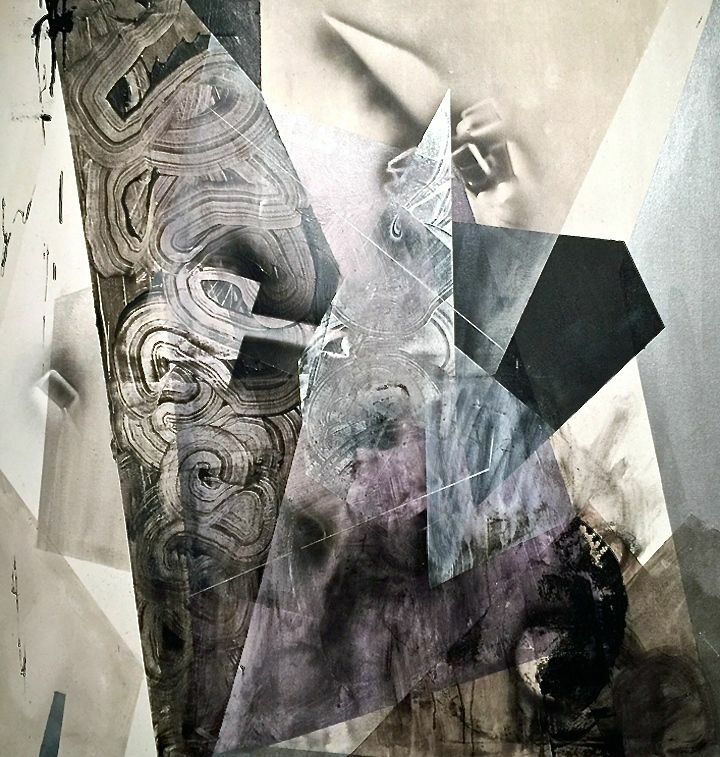 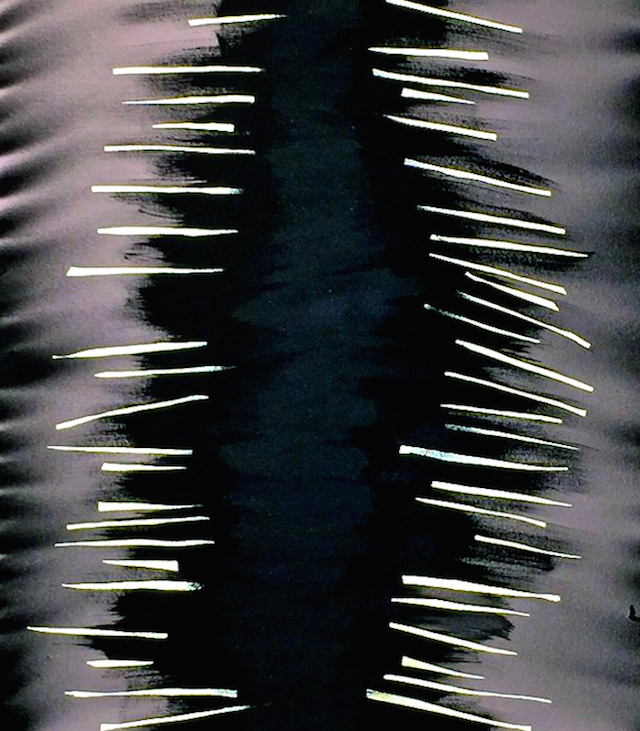 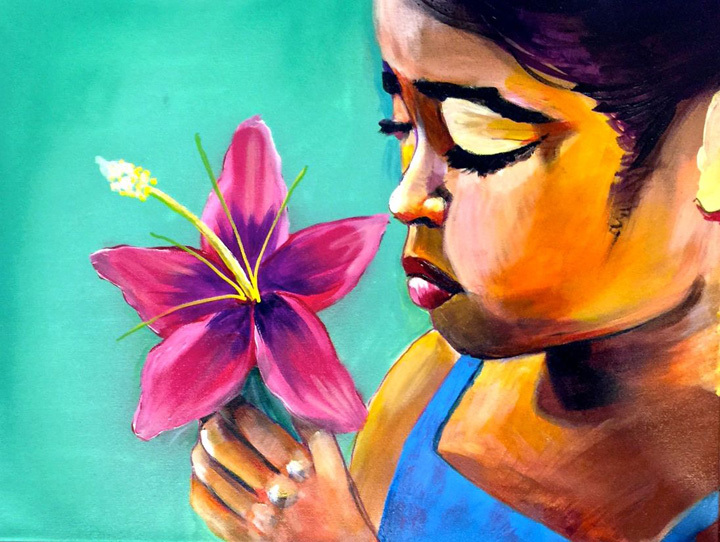 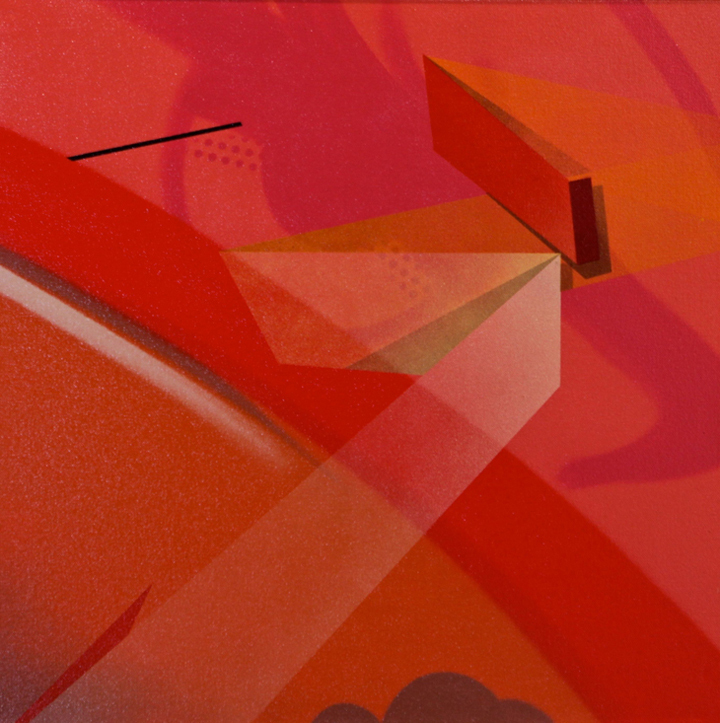 Collaborations remains on exhibit through June 26 at 17 Frost by appointment only. 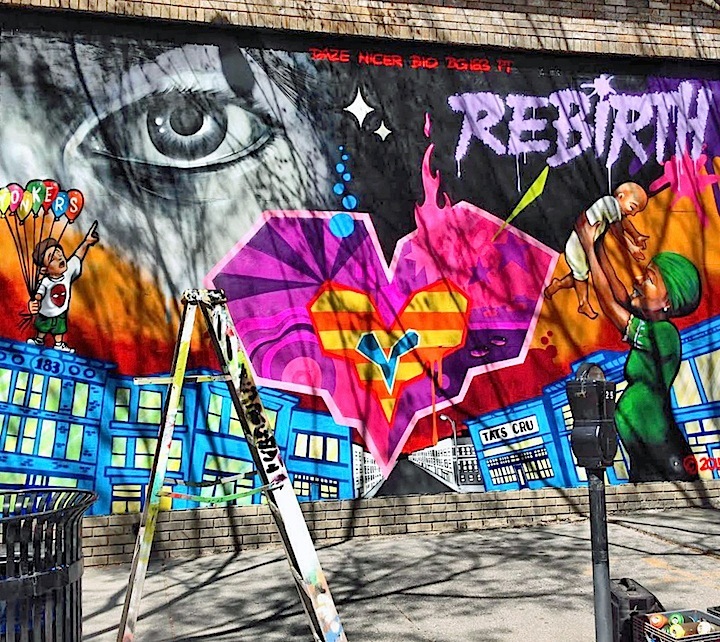 A perfect tribute to the revitalization of Downtown Yonkers, the mural is located at 45 Main Street near Getty Square and Broadway. 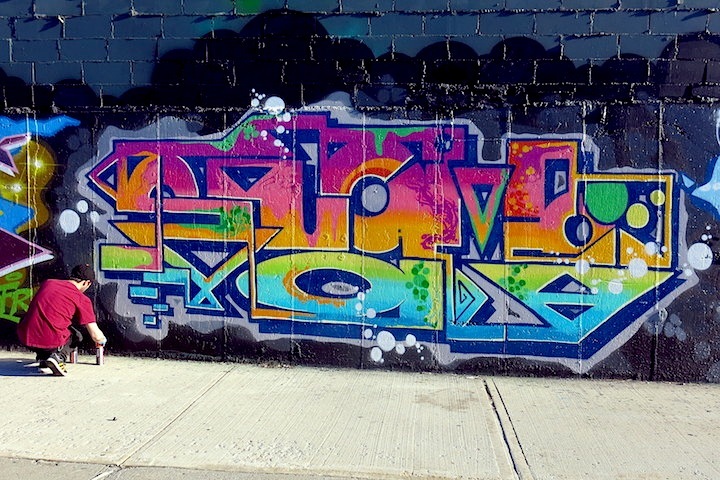 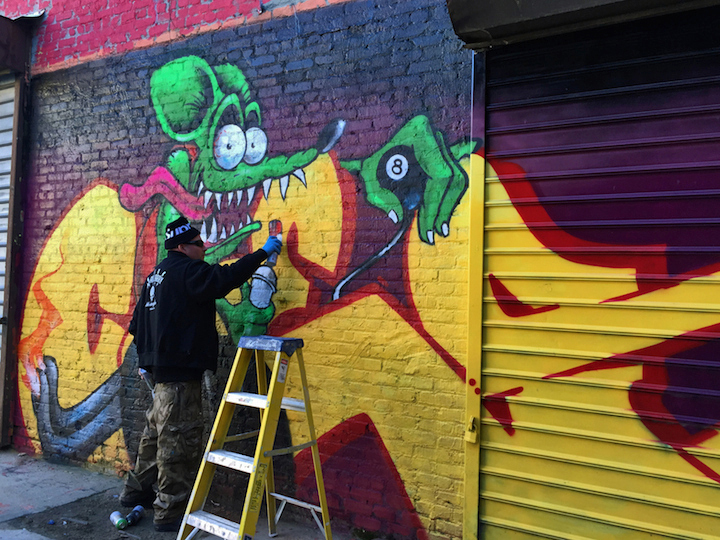 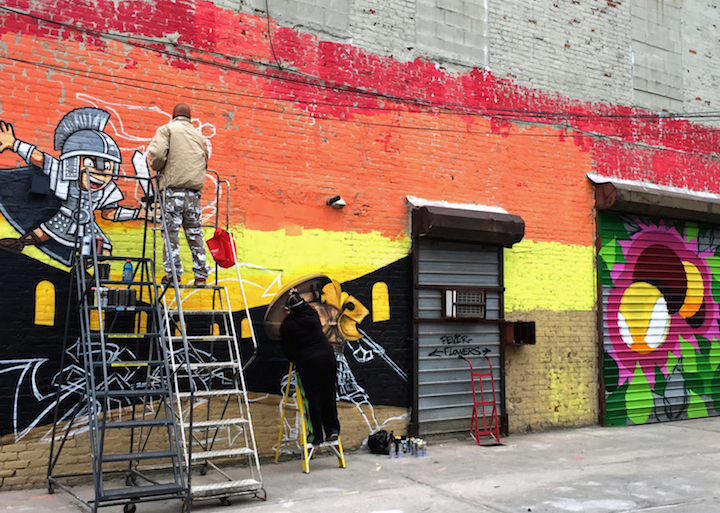 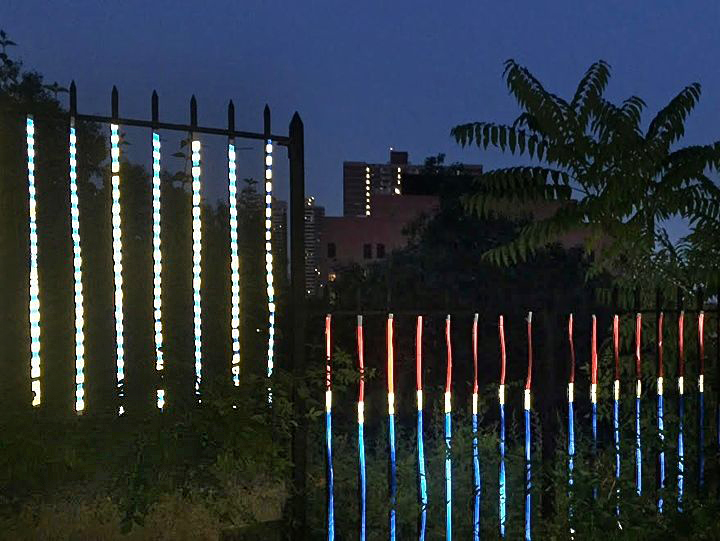 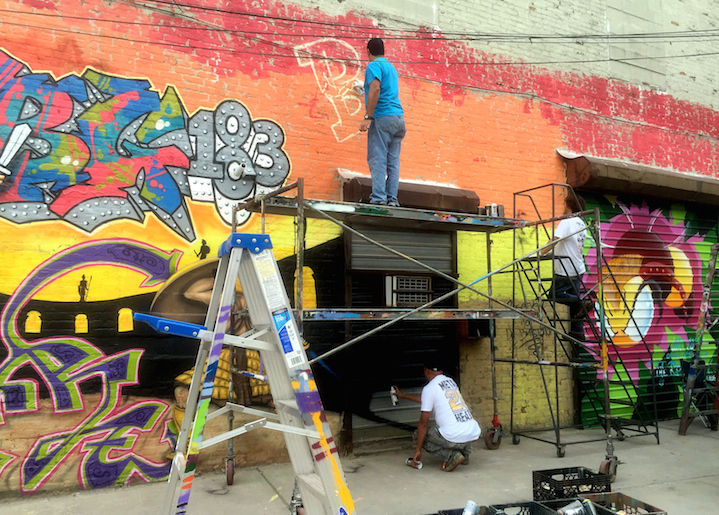 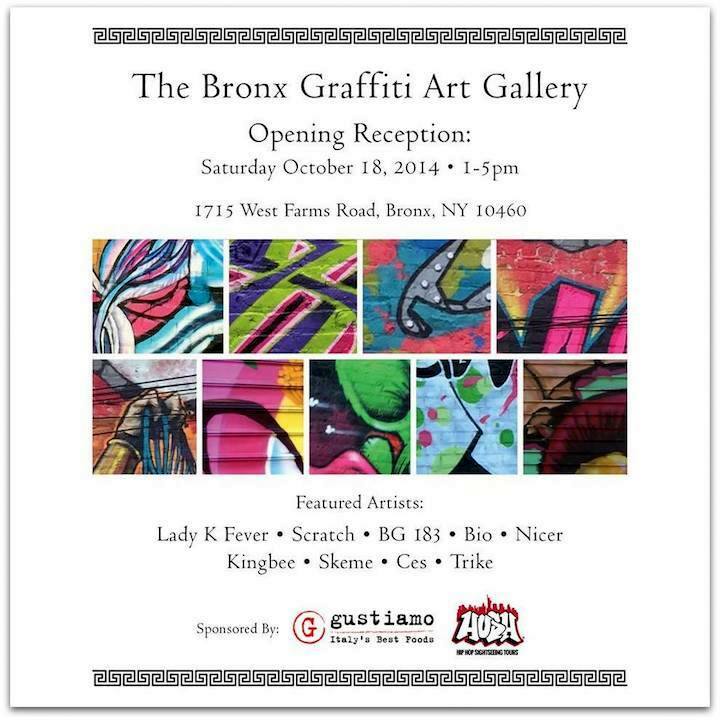 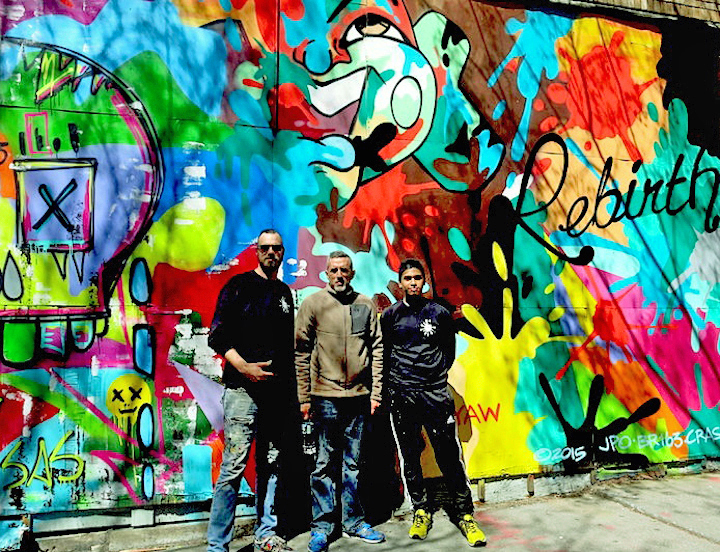 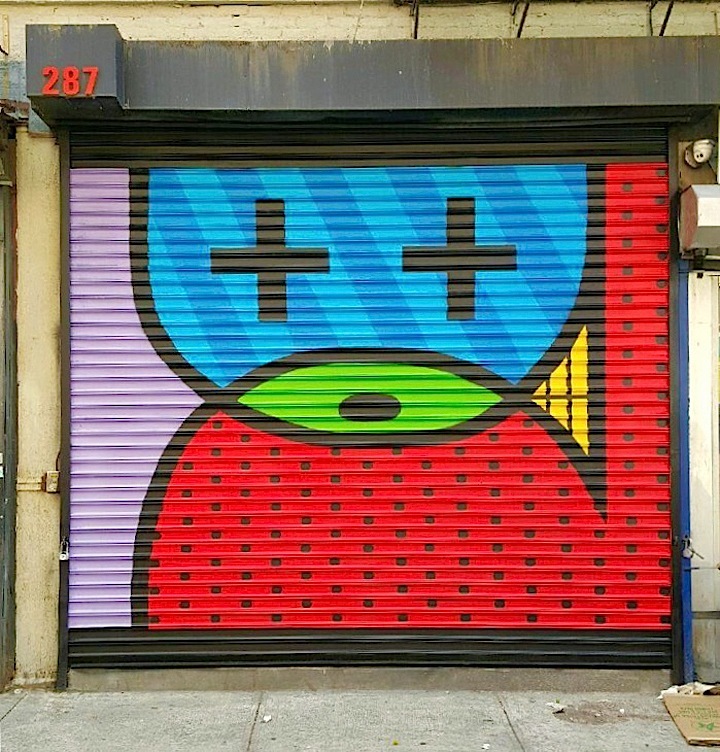 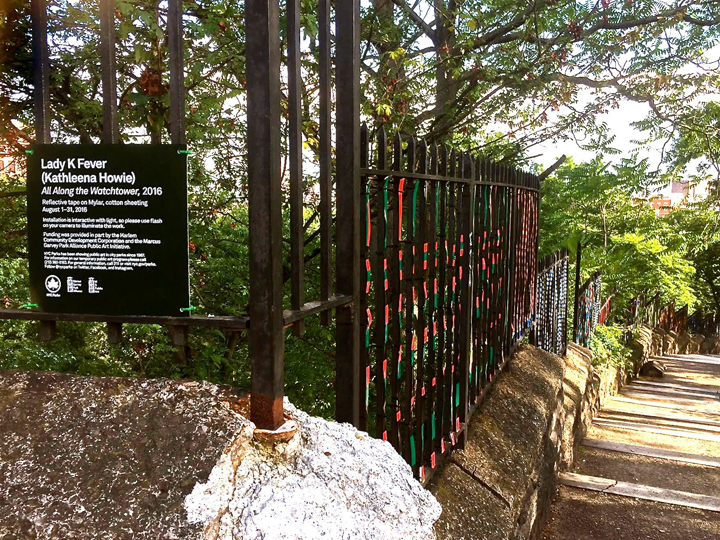 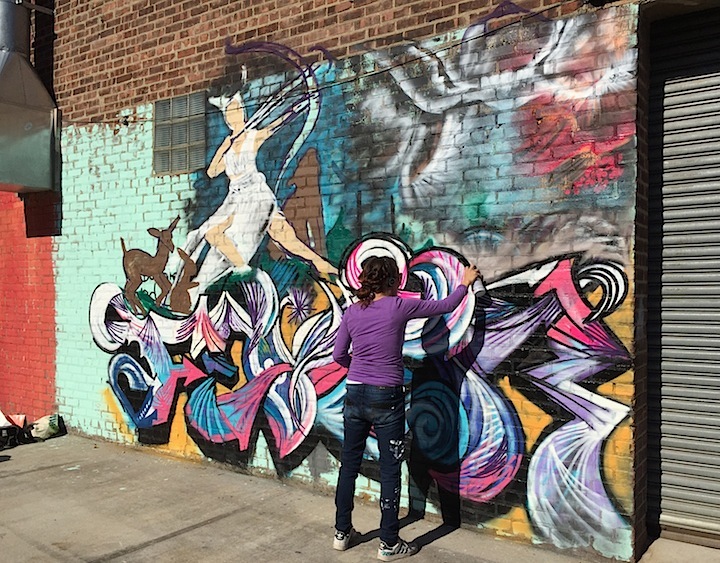 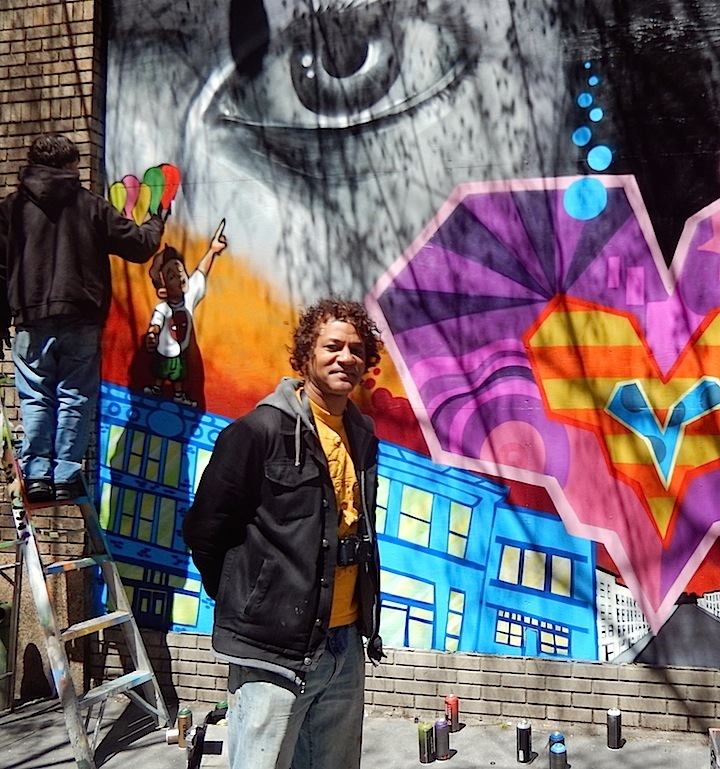 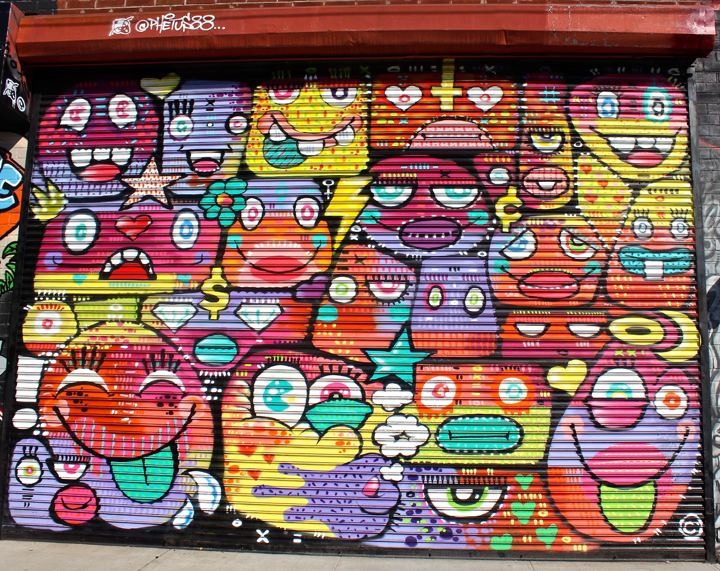 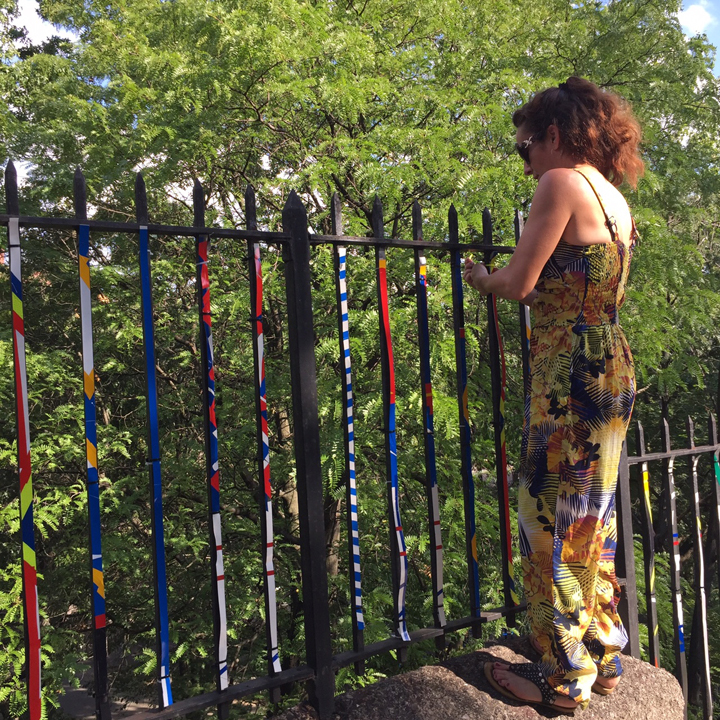 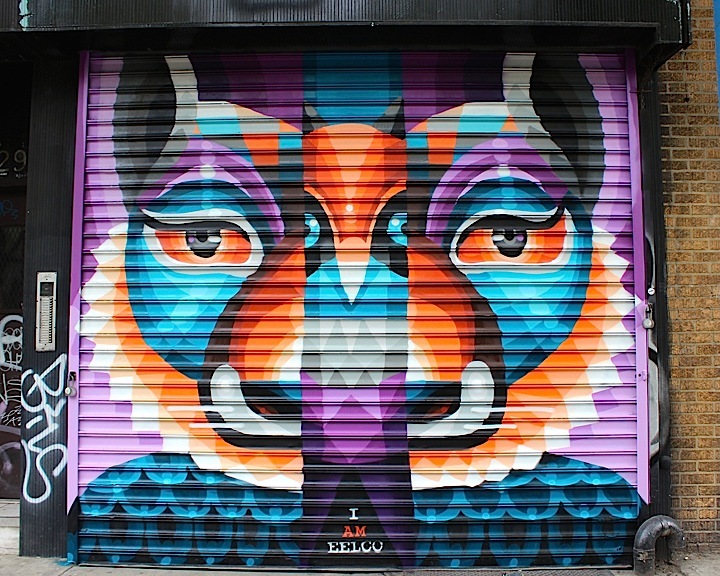 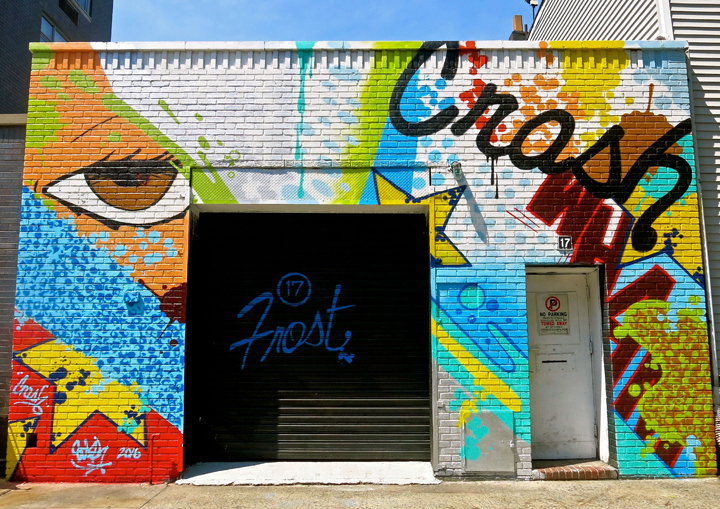 The Bronx Graffiti Art Gallery, a new outdoor public art space located in the courtyard of Gustiamo at 1715 West Farms Road, officially opens tomorrow, Saturday, October 18, 1-5pm. 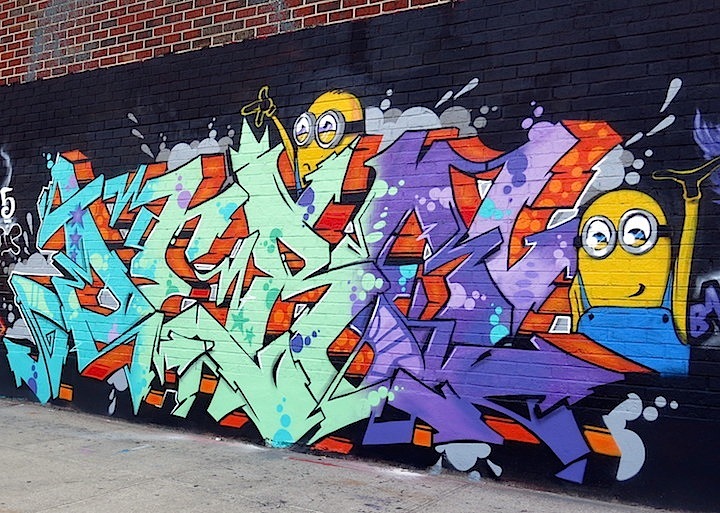 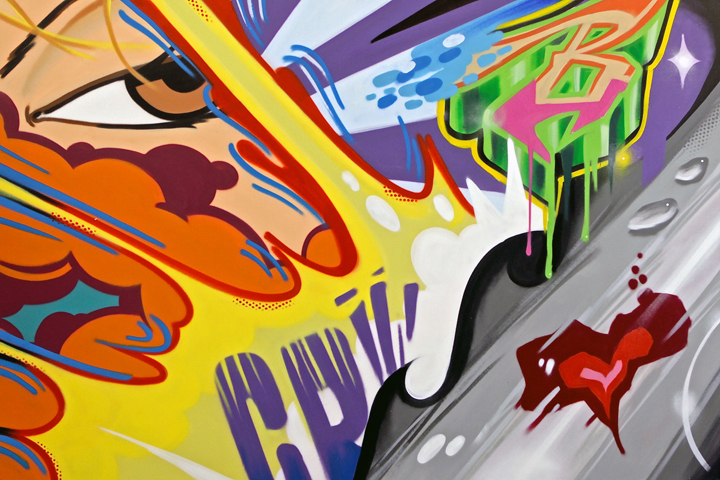 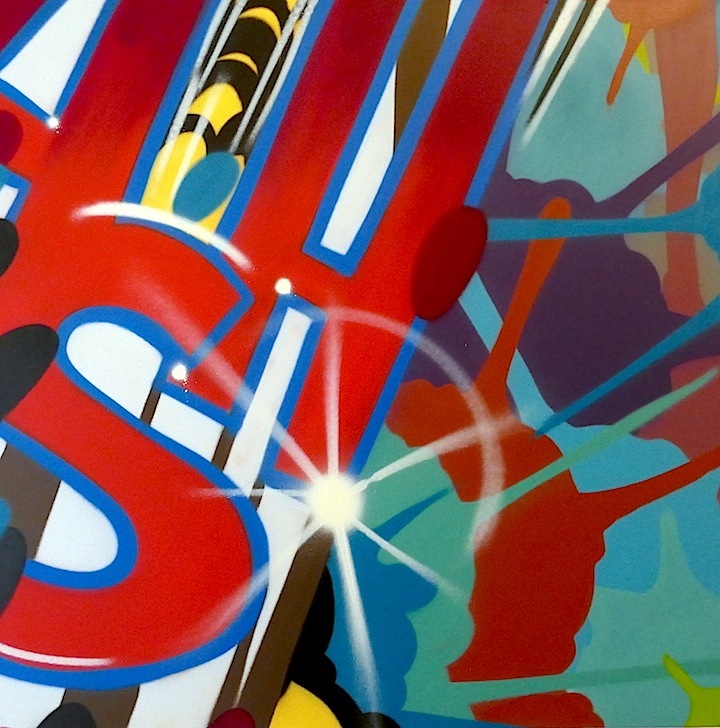 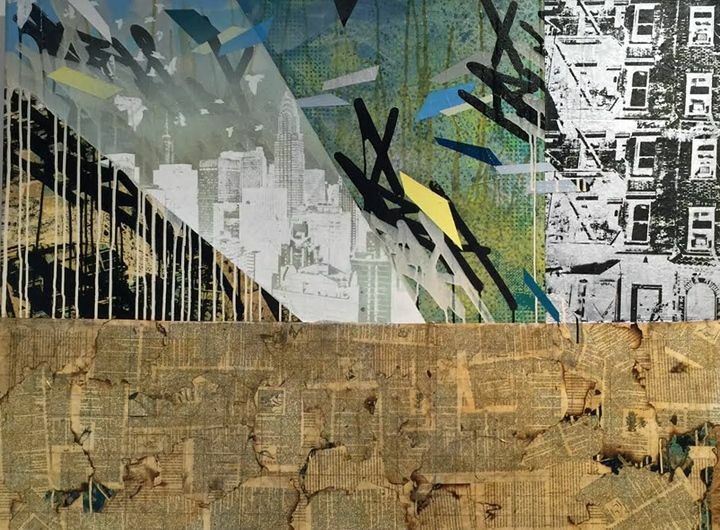 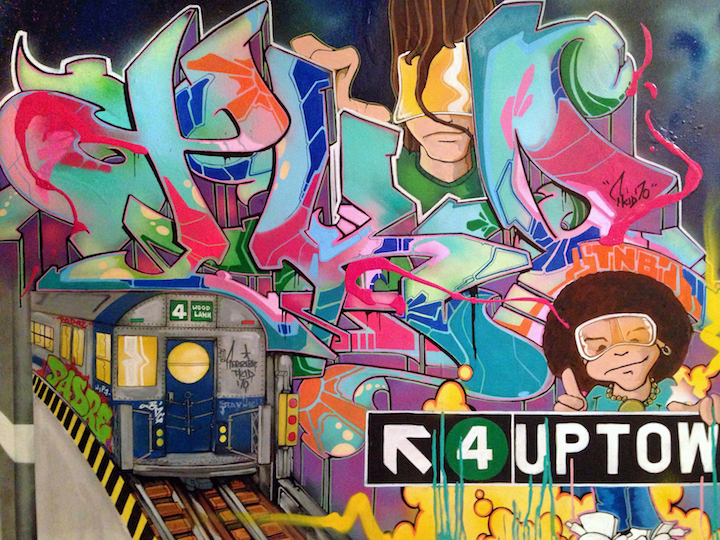 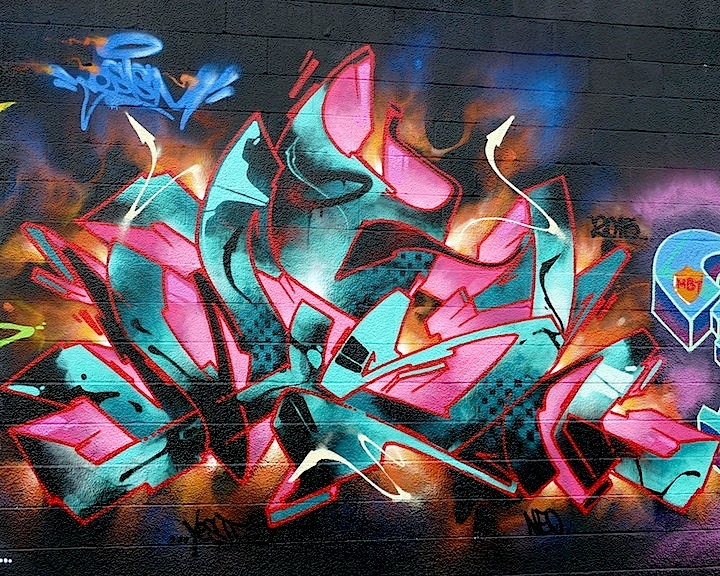 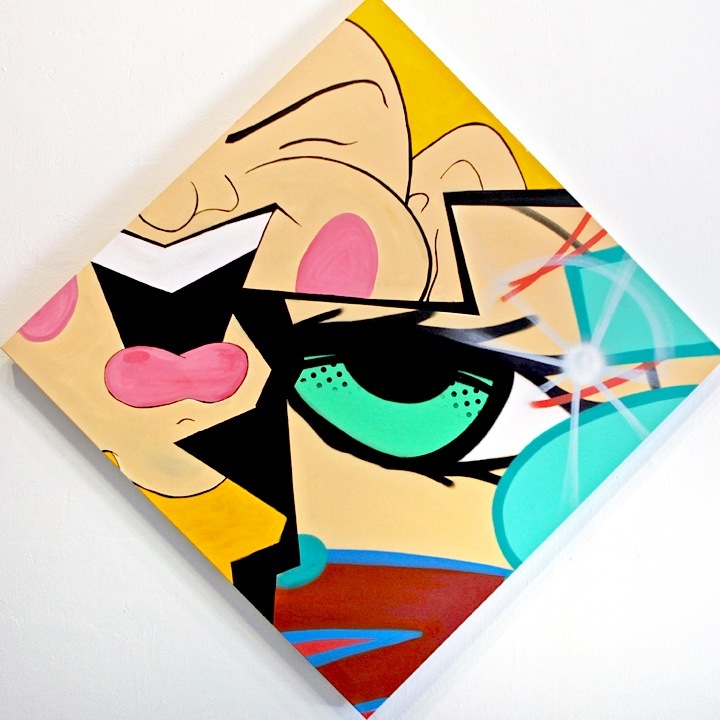 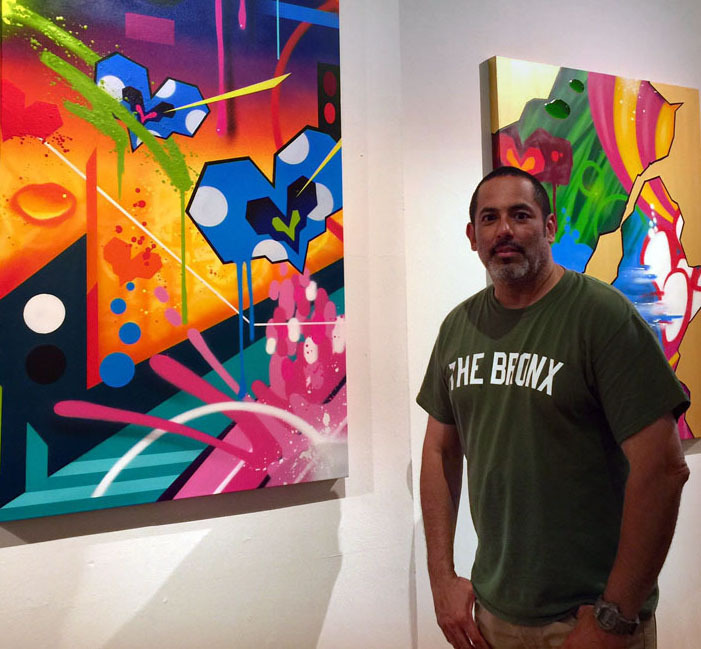 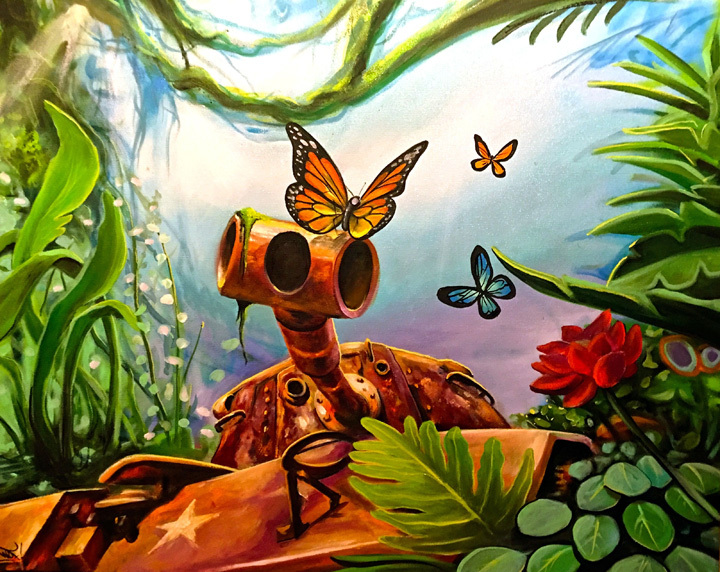 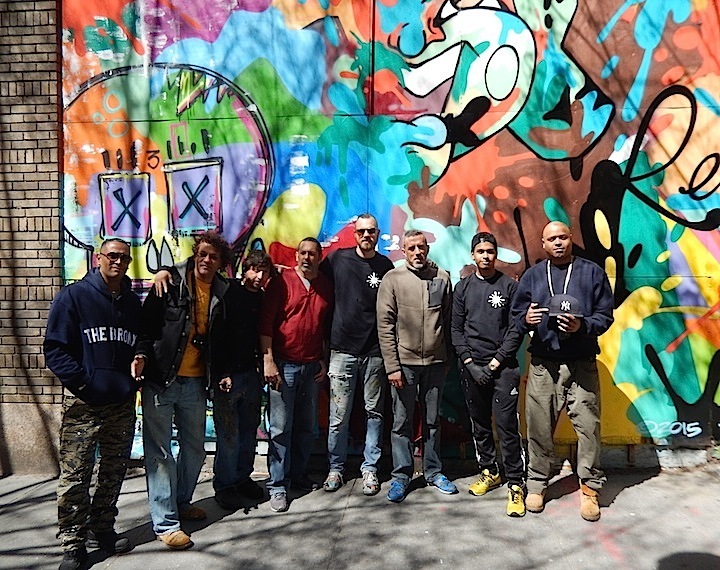 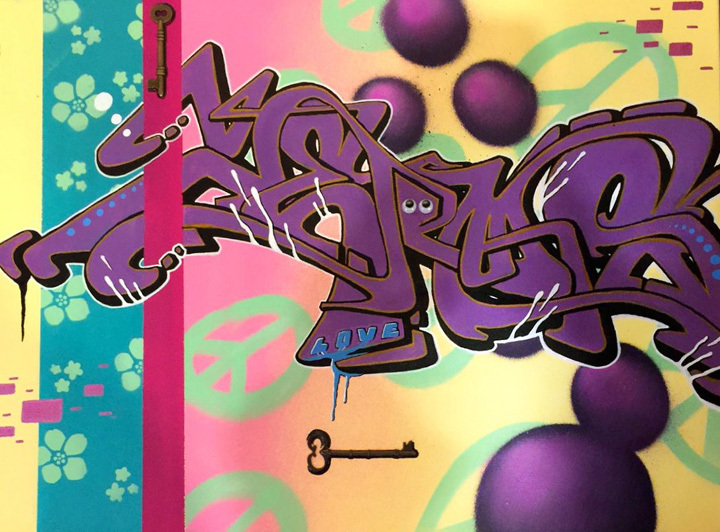 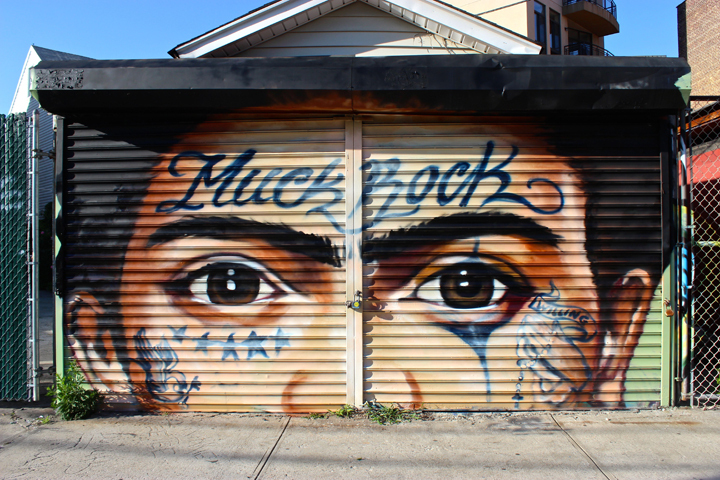 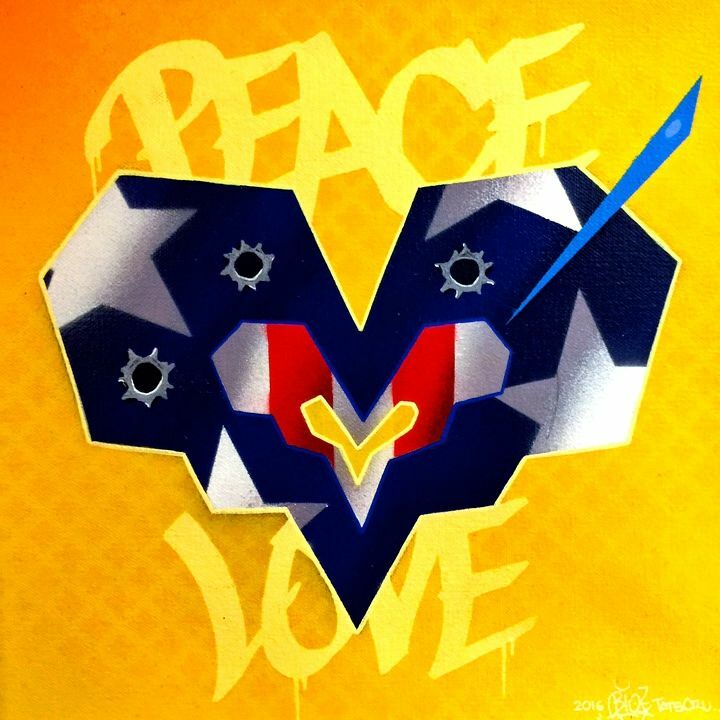 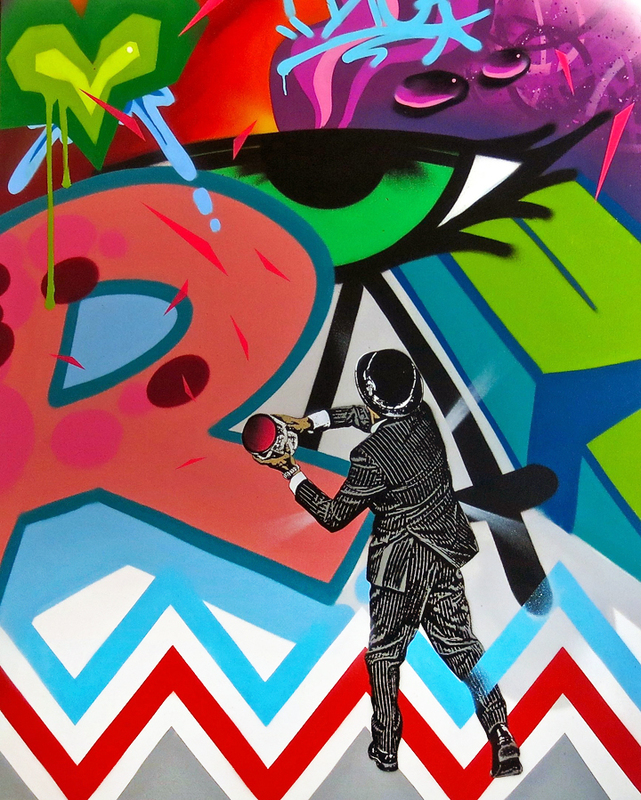 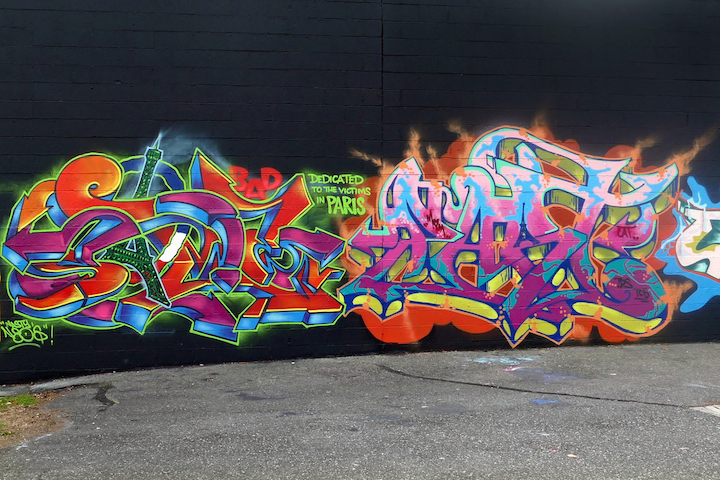 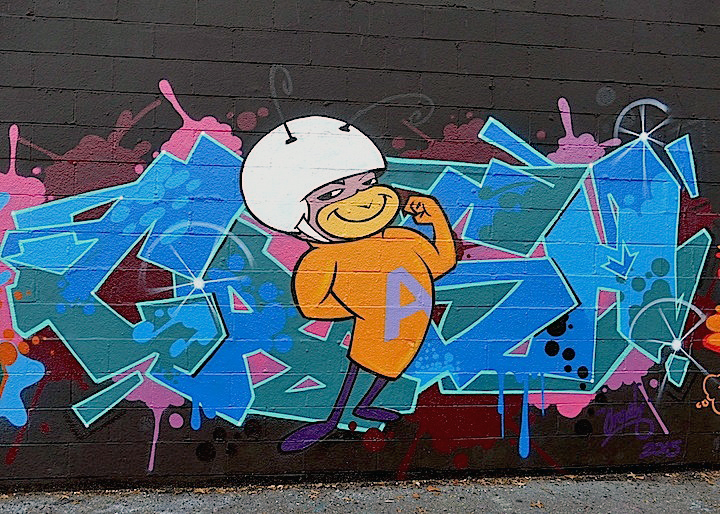 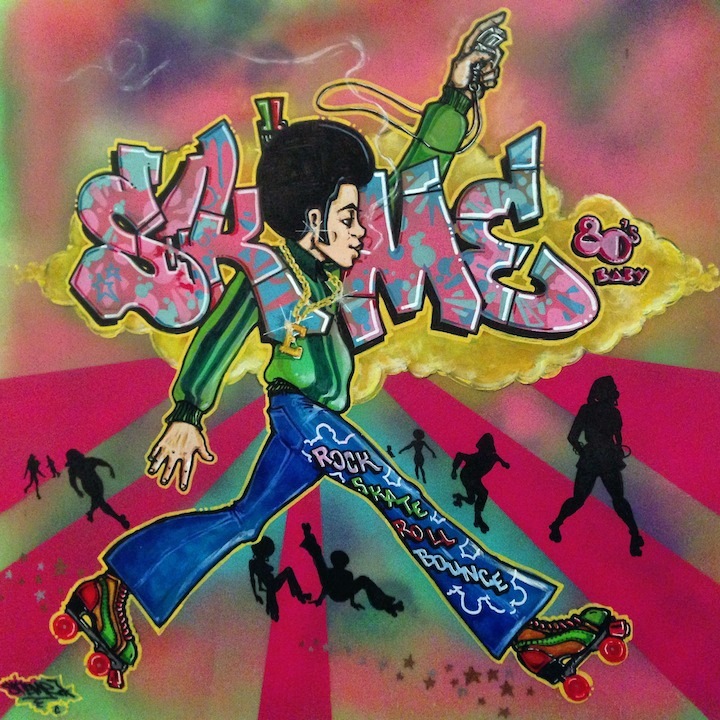 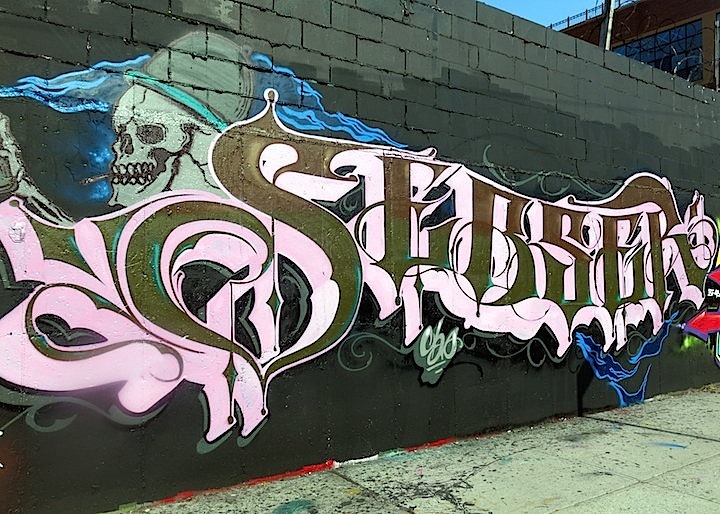 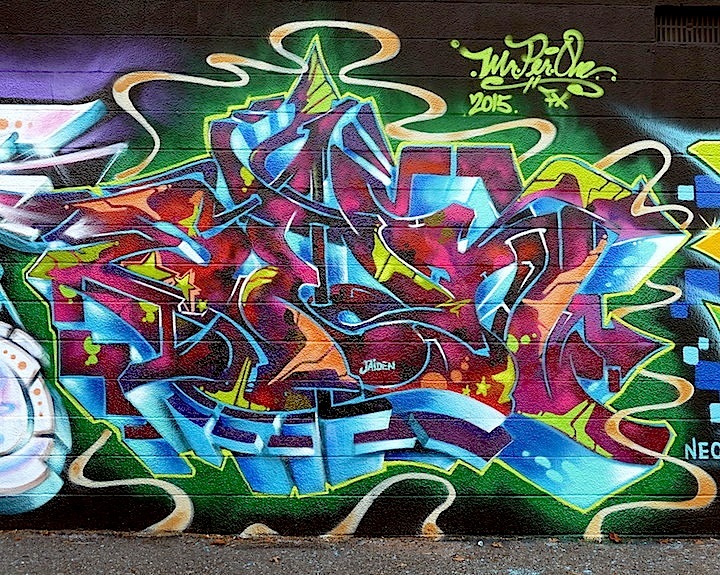 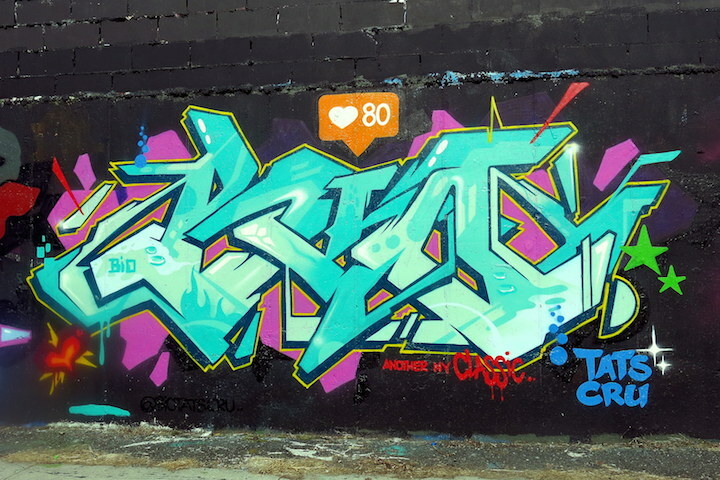 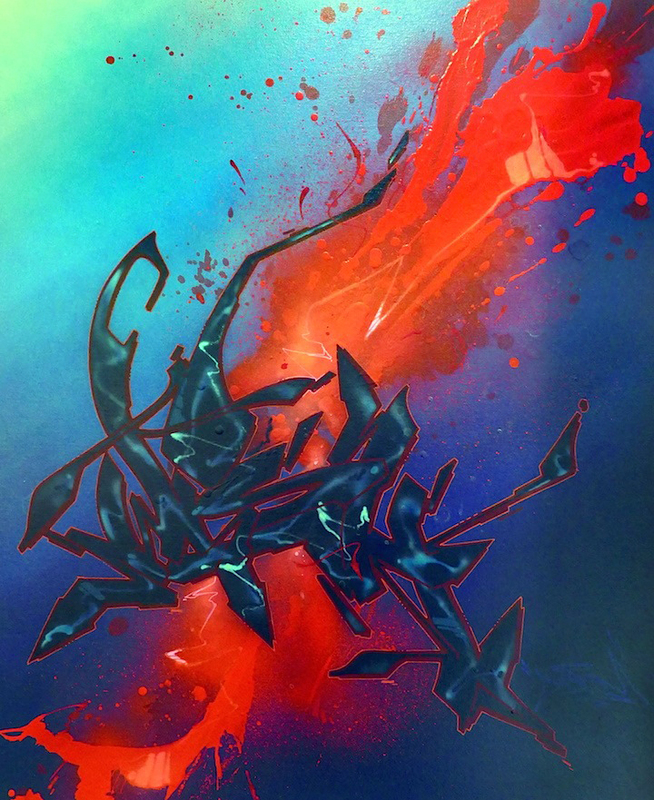 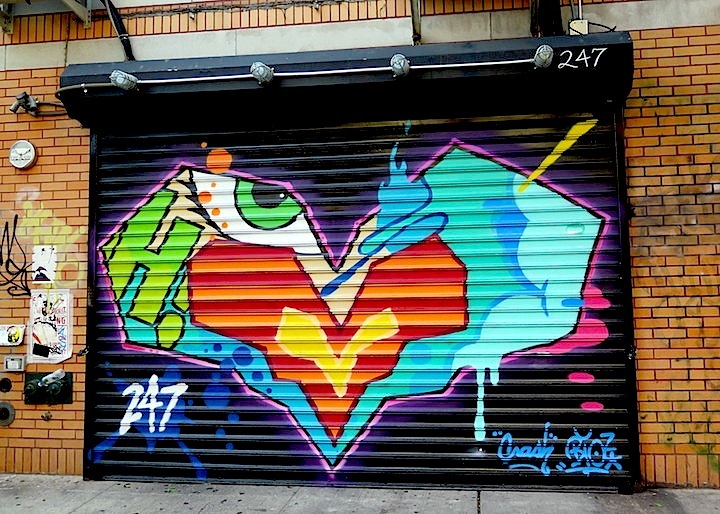 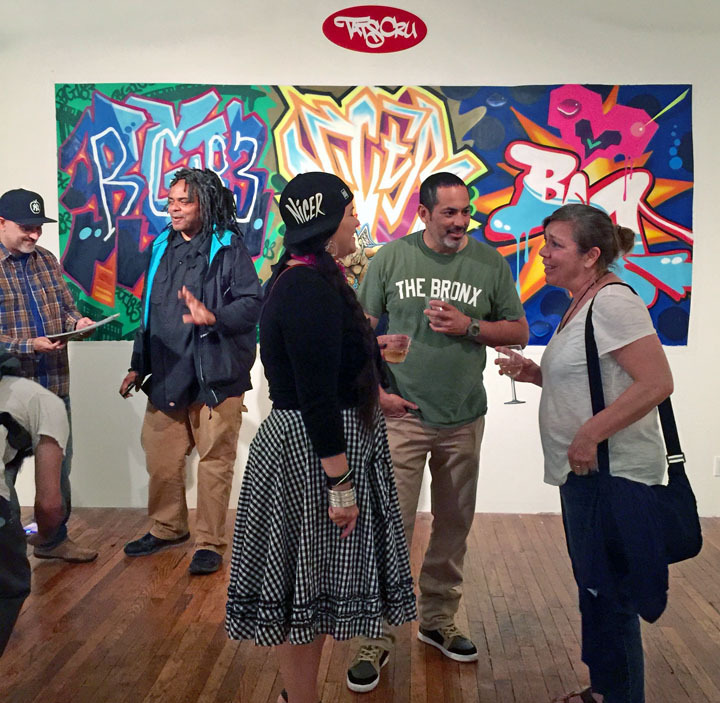 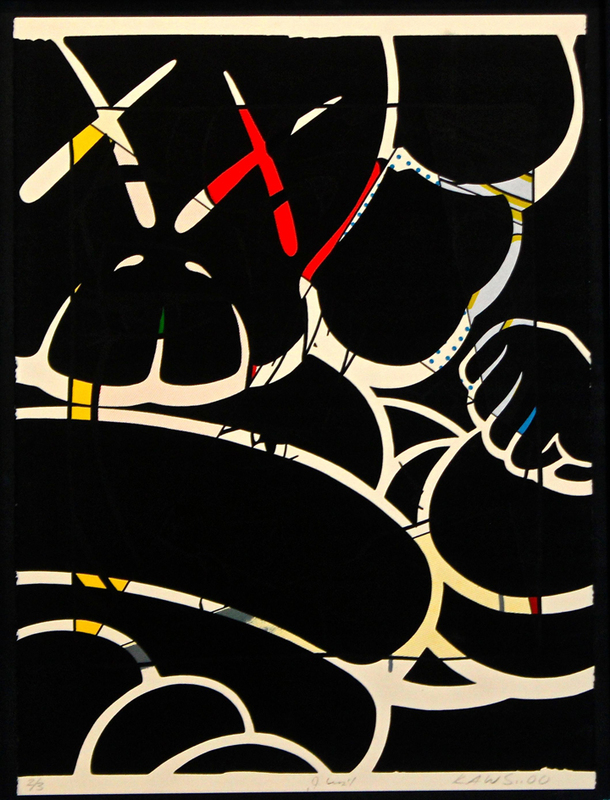 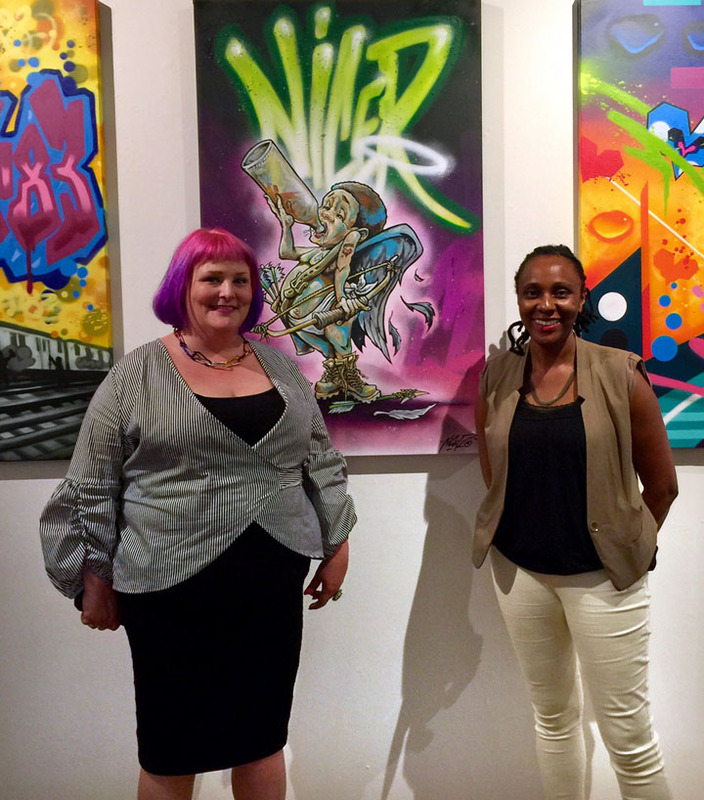 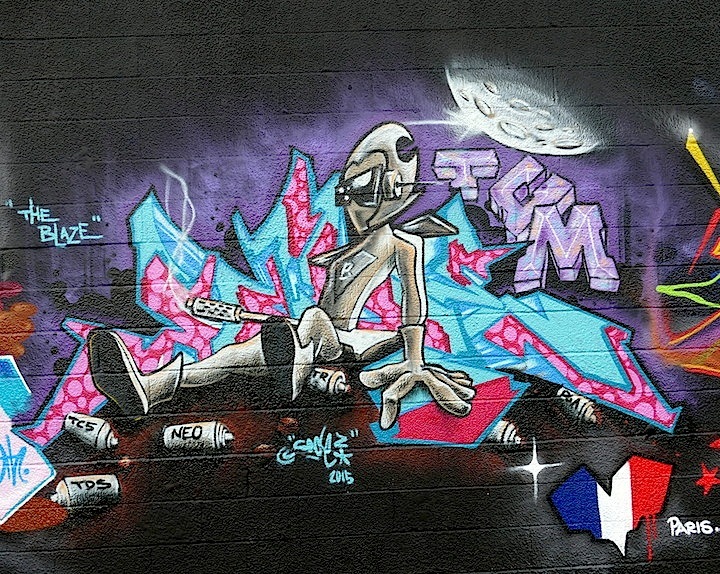 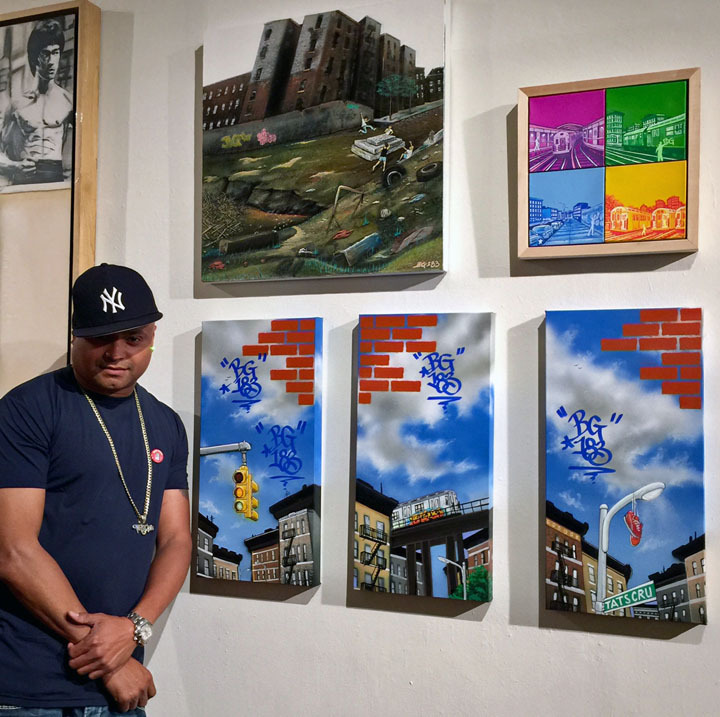 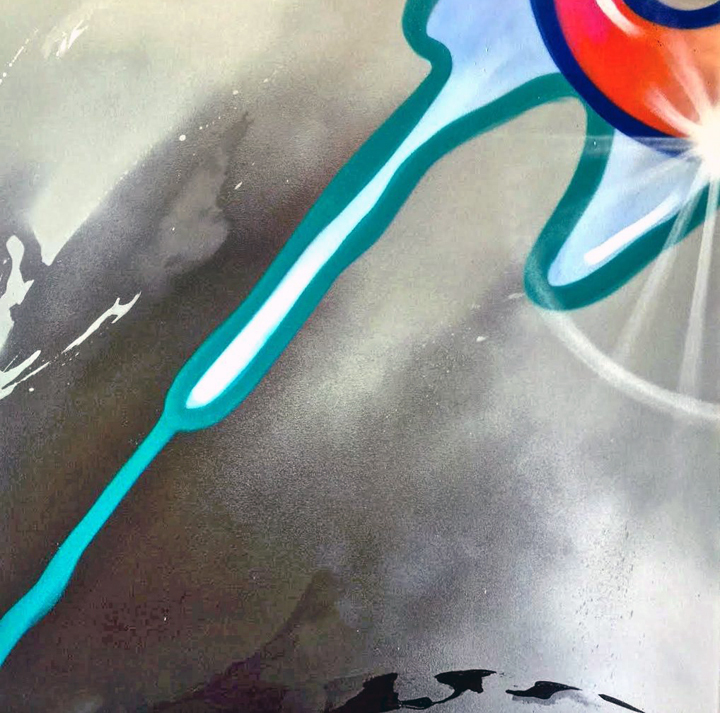 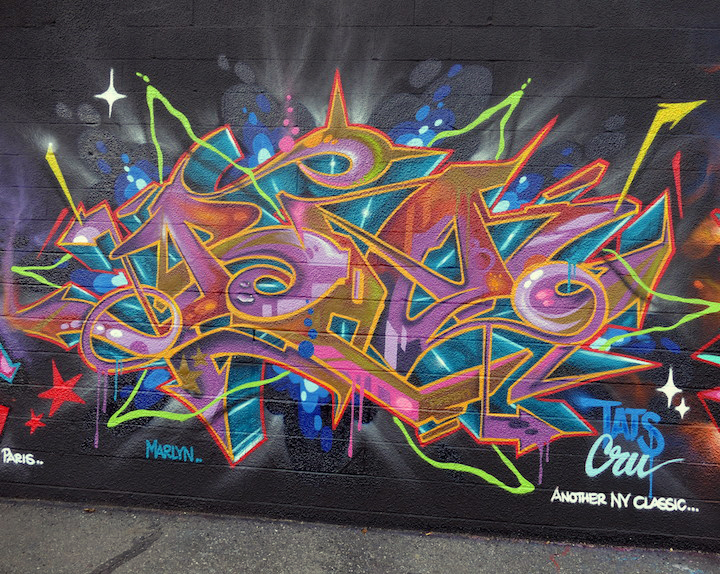 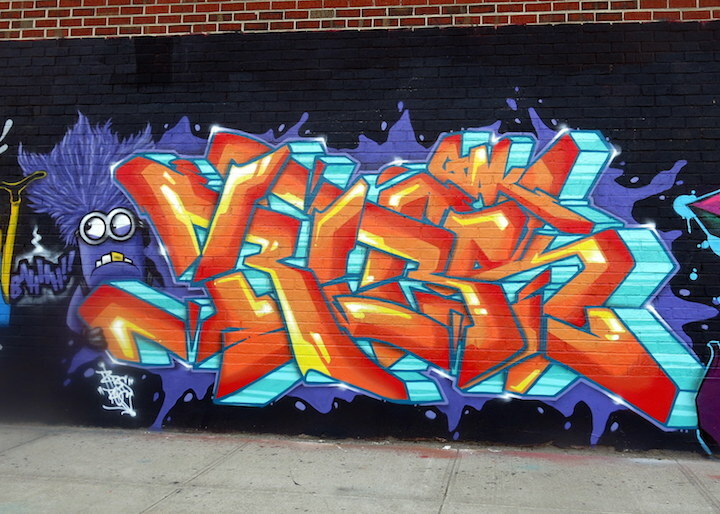 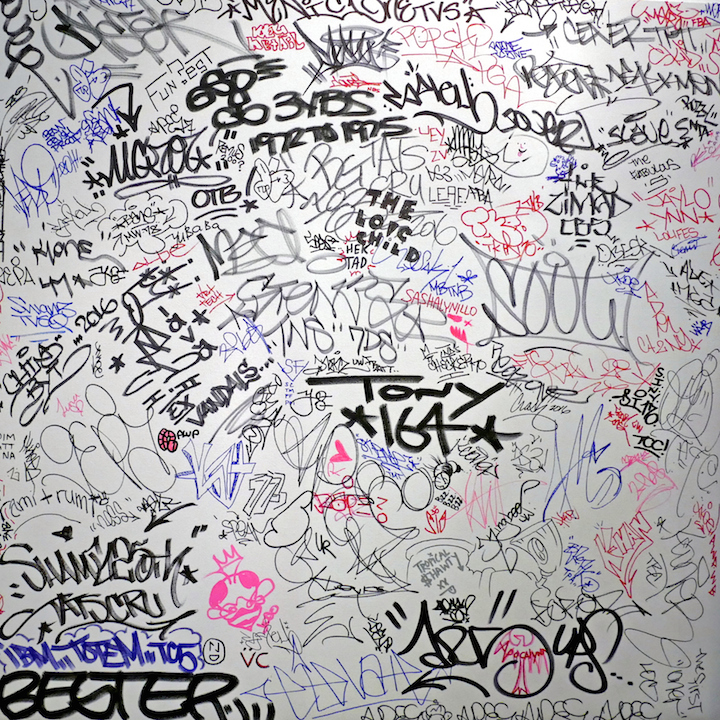 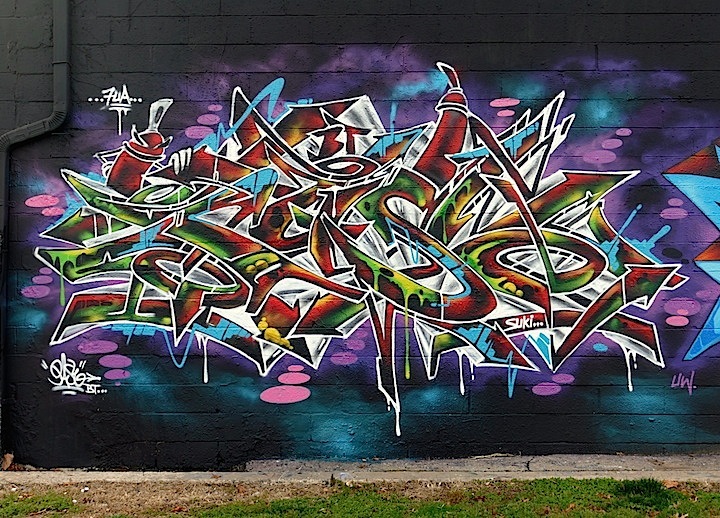 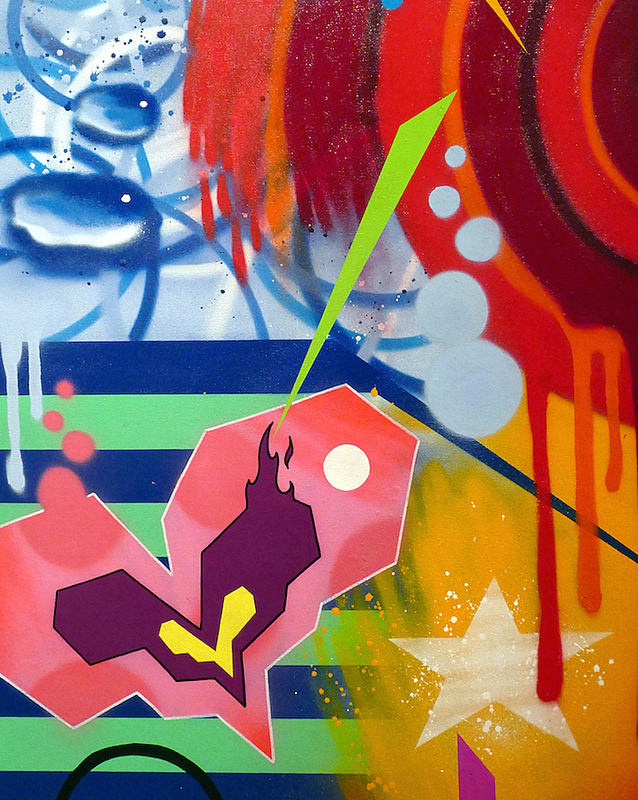 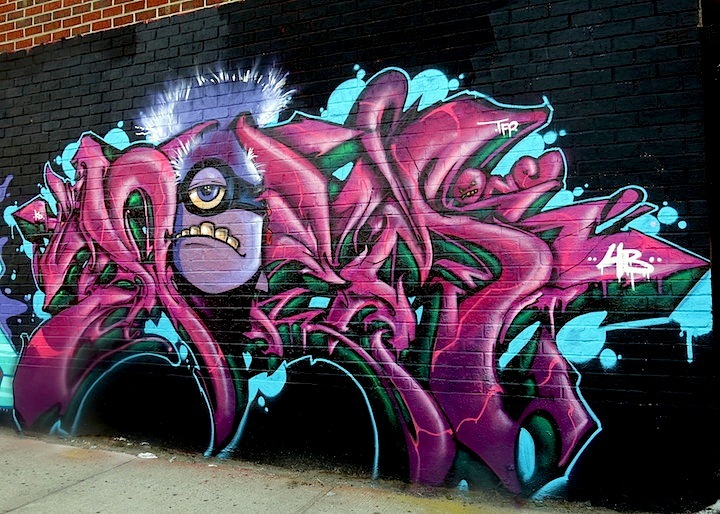 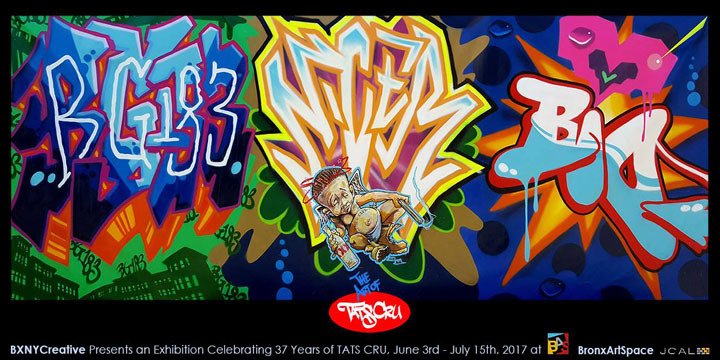 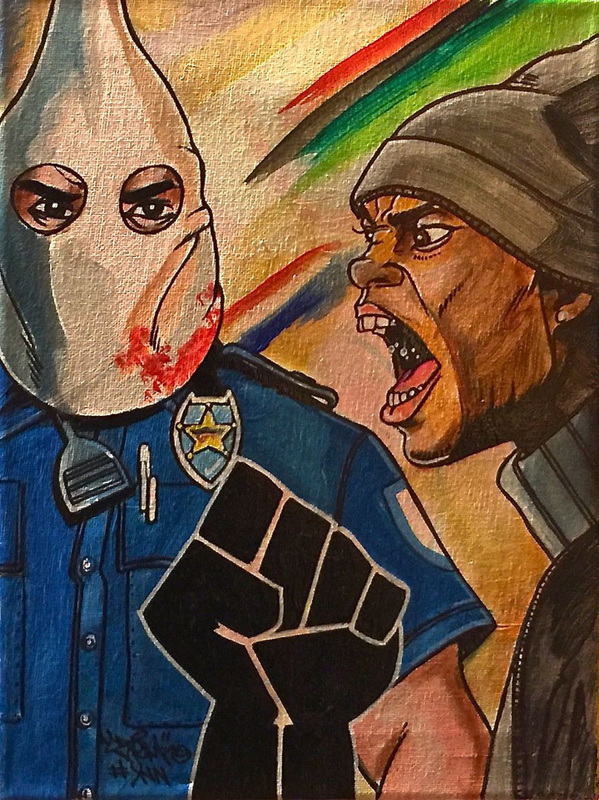 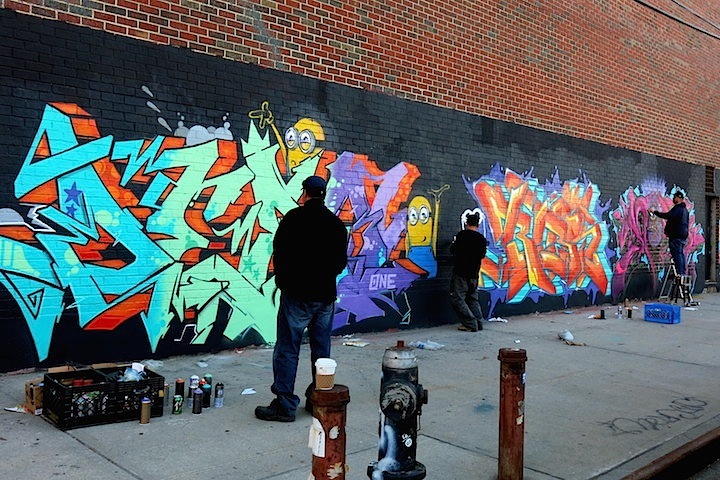 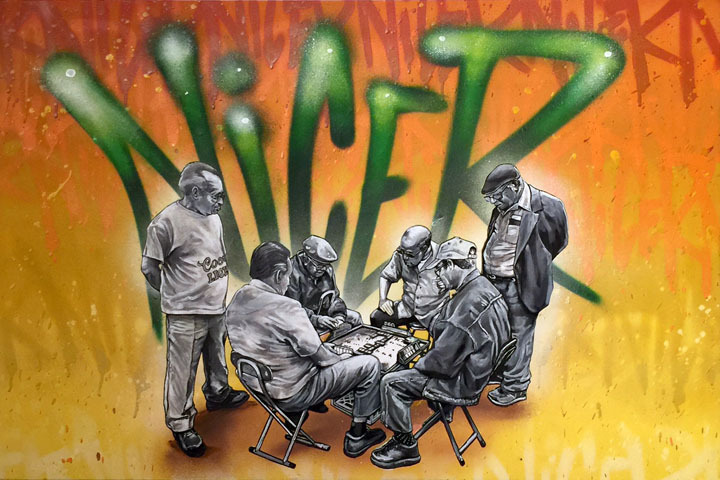 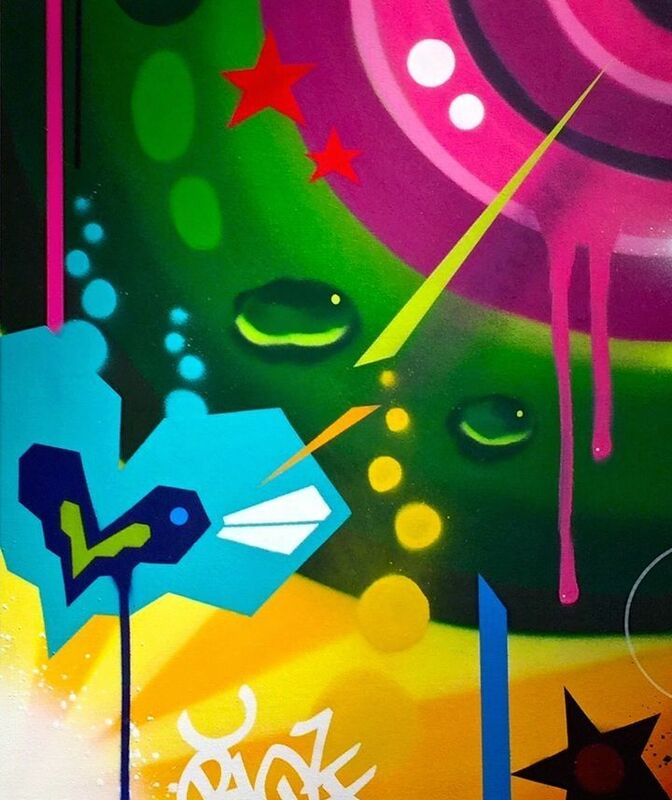 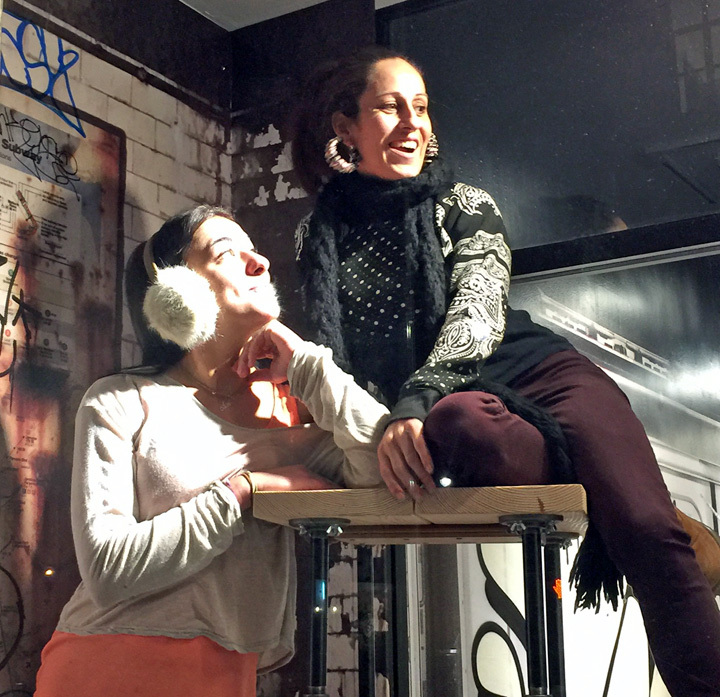 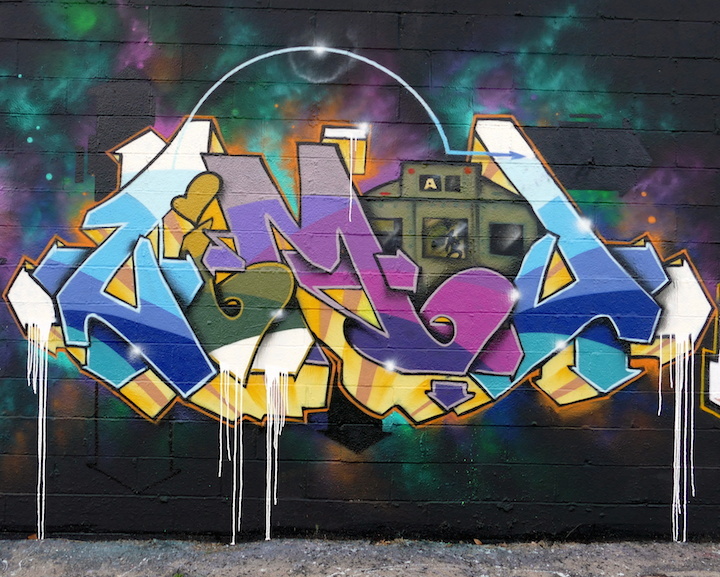 Committed to preserving and celebrating the culture of graffiti in NYC, its first exhibit features works by such Bronx legends as Ces, Kingbee, and Tats Cru, along with artwork by its curators, Lady K Fever and Scratch. 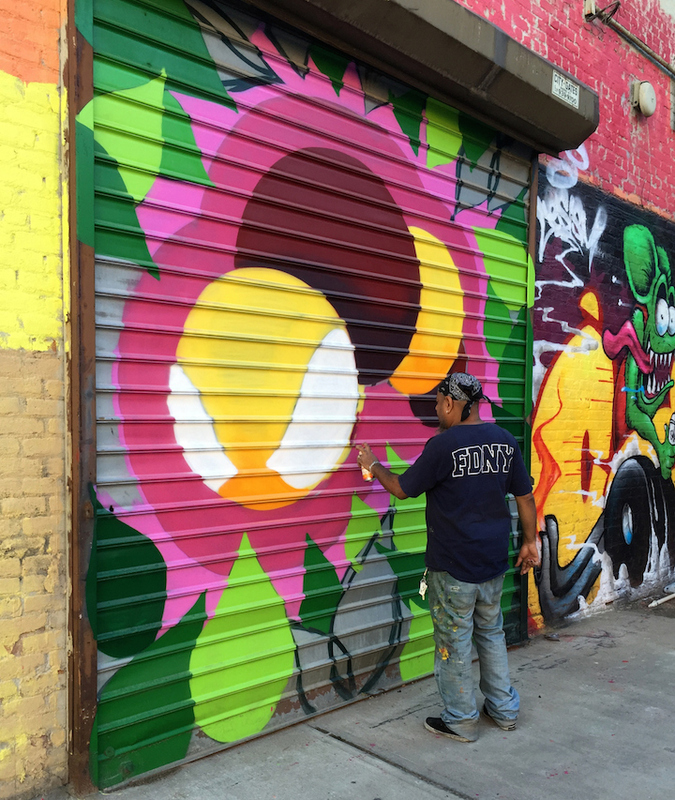 Hush Tours will provide free transportation from Manhattan to tomorrow’s event. 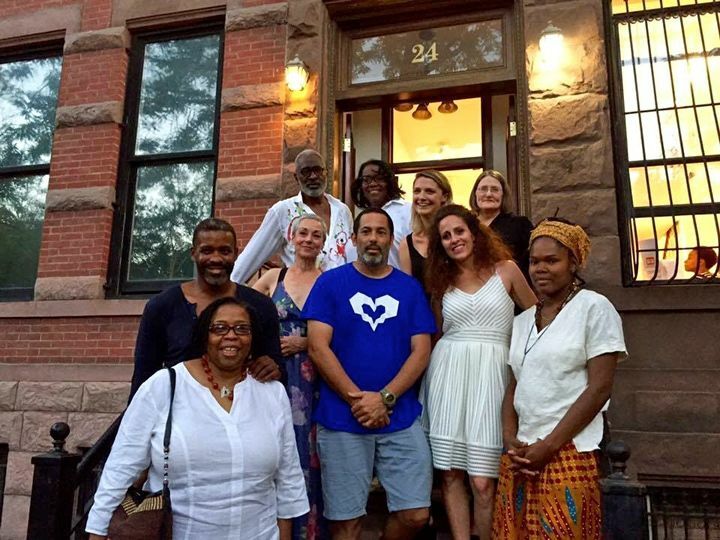 For further information, contact Hush Tours at 212-714-3527.